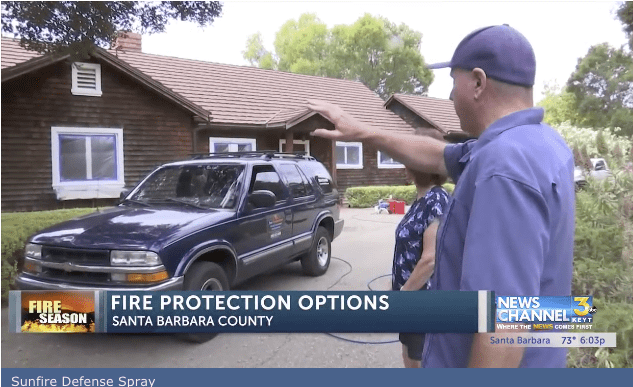 Our Fire Protection Specialists can evaluate your property and provide actionable recommendations on how to best harden your home against wildfires. They will also answer any questions you have about our company and products. Roof type and condition (Class A or hardened roof? ), flashing condition, chimney, roof vents, gable vents, 1/8” minimum heavy-duty metal screen, cracks or gaps, combustible materials or leaf litter buildup. Eave vents, 1/8” or smaller heavy-duty metal screen, gutter type, eaves boxed vs. unboxed, downspouts and gutters clear of debris, leaf/debris guards on gutters. Siding, Garage door seal, garage vents, doors metal or wood, crawl space vents, 1/8” minimum heavy-duty metal screening, windows plastic, metal or wood, windows single or double pained, metal screens, decks, fences, arbors/pergolas, additions, propane tanks. 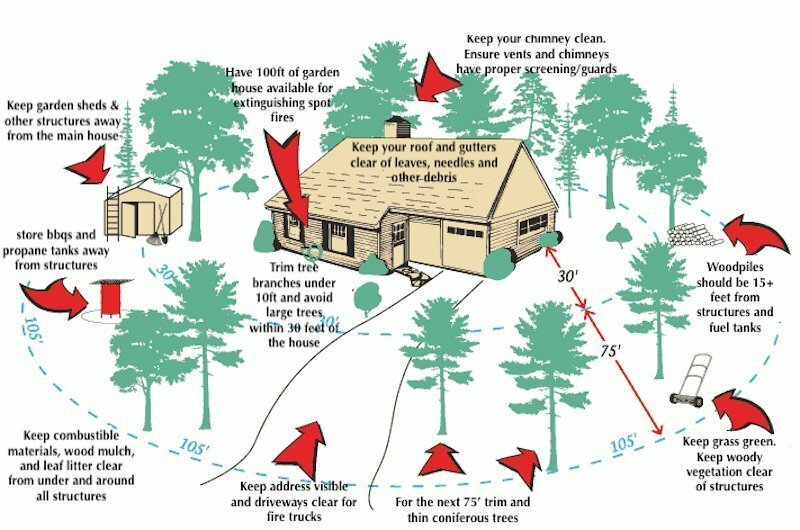 Space between bushes, brown or dead plants, ladder fuel, mulch, leaf litter or other combustible detritus, open canopy of trees, low tree branches trimmed to at least head height.